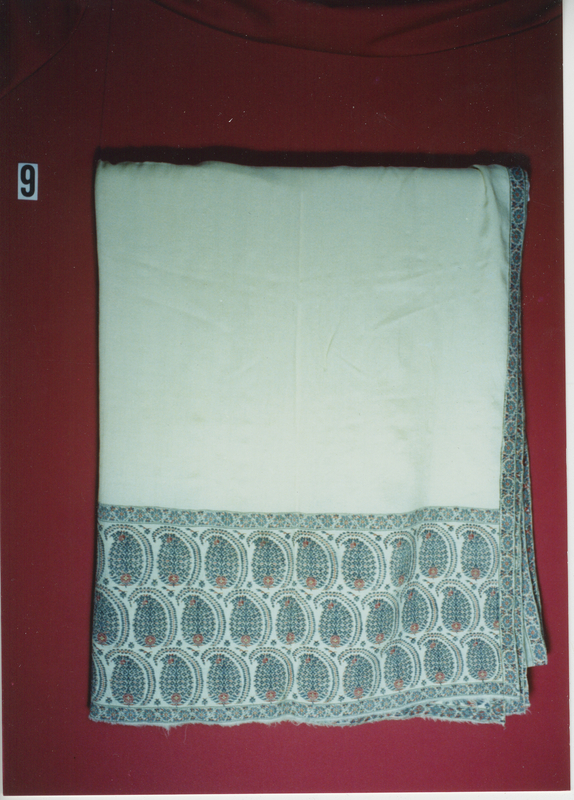 Description: Long shawl with white field; end border with three rows of blue and red botehs; hand weaving; twill tapestry weave; warp of wool; weft of wool. 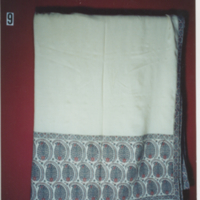 Originally made in India. 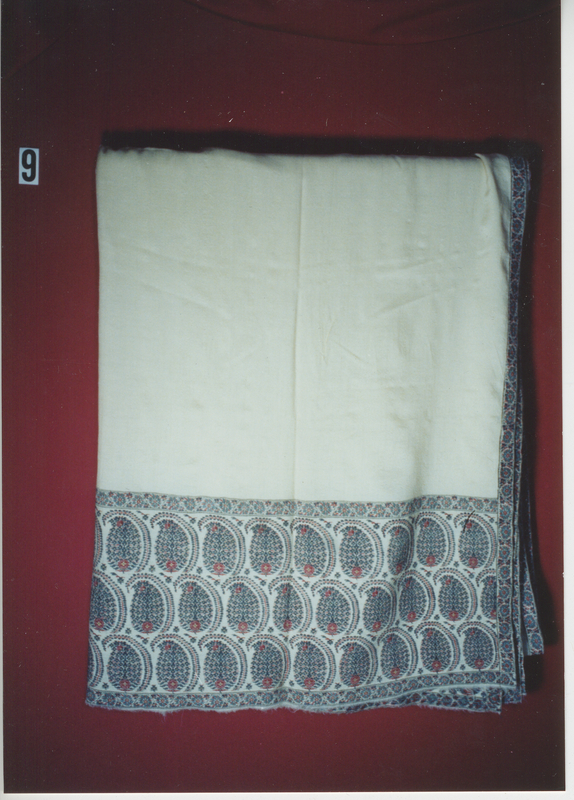 “Long shawl with white field and end border with three rows of blue and red botehs,” Historic Dress, accessed April 22, 2019, http://historicdress.org/omeka2/items/show/720.